– Hints and Information Tabs: GWE will give you tons of information about your g-code that’s hard to impossible to get any other way. – Conversational Wizards: Create g-code for common operations with simple point and shoot wizards. 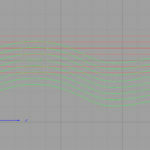 – Soft Limits: Get alarms when your toolpath exceeds the limits you set. Who couldn’t use a simple tool to help avoid many crashes? – Machine Acceleration Adjustments: Are your time estimates on code always too optimistic? Are there moves that are never even getting up to the commanded feedrate? Find out with GWE’s Acceleration Adjustments. – Revisions: Wouldn’t it be great if you had an experienced hand at g-code programming available to edit your code and make revisions to it under your guidance? – Naming Macro # Variables: It’s hard to remember all those variables, #100, #112, #221, etc.. Why not give them real names like #PROBE_DIAMETER? GWE can do this even when your control doesn’t support naming #variables. These are 6 of GW Editor’s most powerful and unique features to save you time and money with g-code–dig into them and you’ll wonder how you ever went without them. You’ve got a g-code program that somebody else wrote. Or maybe it’s one your CAM software’s post burped out. Either way, you didn’t write it and you haven’t really spent much time looking at it until now. There’s a problem of some kind there and you’ve been picked (no, you didn’t volunteer for this job did you?) to figure out what the problem is and fix it. There’s nothing worse than having to dive into someone else’s software code and try to modify or fix it. At least if it is your own, something will be familiar. That is unless you wrote it years ago and haven’t been down the dusty code corridors in quite some time. It’s a struggle to look at that code (geez, they even call it “code”) and try to make heads or tails of what’s going on. It can be even worse if your post is doing things that look stupid for obscure reasons or you have to get through seriously complex macros that seemed like a great time saver when they were written but just look like hieroglyphics now. 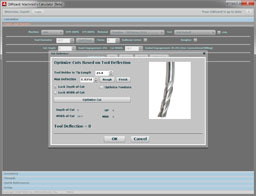 Fear not–G-Wizard Editor has some powerful reverse engineering tools that can help you get through it even if you’re no g-code programming expert. Arc End Point, Center Coordinates, Radius, and Angle: There’s quite a lot of additional calculated information provided about your arc or other g-code that is often very hard to come by. 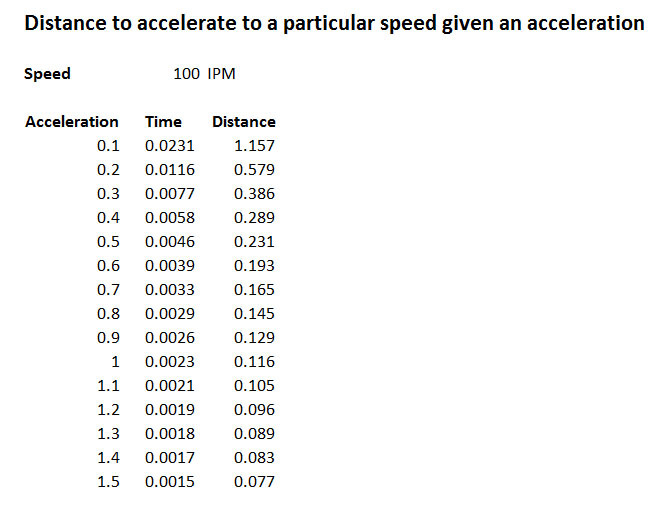 Time and Adj Time: These are the time estimates for this line both regular and adjusted for acceleration limits. Acceleration is often the limiting factor. V End: This tells you what the actual feedrate was by the end of the move. Sometimes there’s not enough acceleration available to even get to the commanded feedrate, and it’s useful to know when this is happening. Taken as a group, Hints not only make it easier to understand the g-code if you’re not very familiar with g-code, they also tell you all sorts of information (such as the actual location of the arc center or the acceleration adjustments) that’s very hard to come by any other way. Even experienced g-code programmers find that information extremely convenient to have around. – Holes can be made at a particular positions, in a list of arbitrary coordinates, in a bolt circle, along an arc, in a rectangular grid, or in a line at any angle and separation. 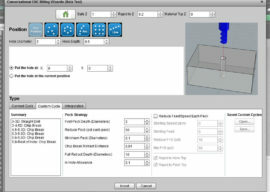 – Hole can be made using your machine’s canned cycles, our custom Deep Hole Cycle Wizard (pictured above), or using interpolation. The Deep Hole Cycle is a customizable cycle that gives you access to all the special tricks of the trade when making deep holes. You can decrease the distance between pecks as you get further down the hole, you can switch from quick chip breaking pecks to near full retracts as you get deeper (making sure the bit doesn’t clear the hole completely and let chips fall back in, you can reduce feeds and speeds with each peck, and so on. The Conversational CNC has many uses. 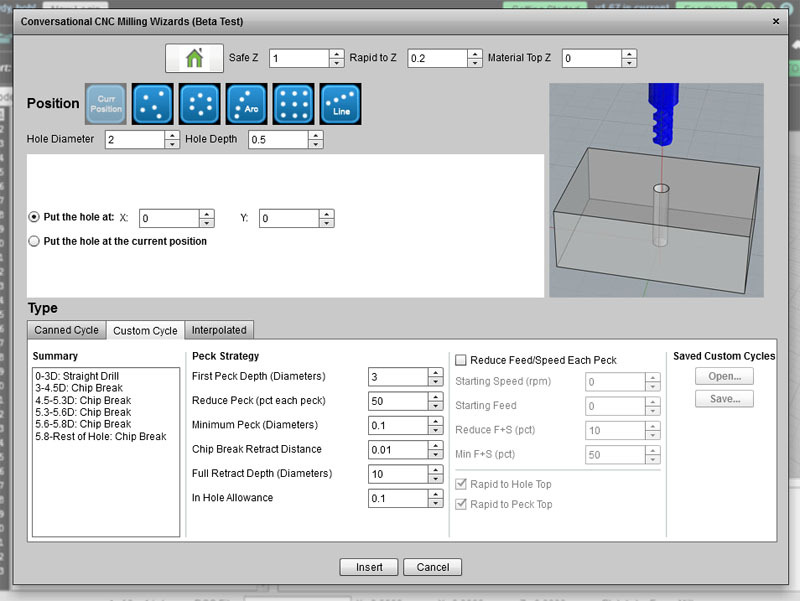 If you’re manually programming, it can save you a lot of effort to crank out basic operations such as holes and face milling. Or, you could use it to update certain parts of a CAM-generated program. For example, perhaps you’d like to use the Deep Hole Wizard for certain things. Or maybe you’re trying to make a simple quick and dirty part without ever having to do a drawing and run your CADCAM software. Conversational Wizards are great for all these tasks. If you’ve been machining long enough, you’ve had a tool wind up where it shouldn’t have. Hopefully you haven’t carved up your table, but the top of a vise is rarely blemish free. Soft Limits let you quickly check a program for obvious crashes. I’ve enabled the Soft Limit Alarm for the Z axis with the checkbox, and I am just going to use 0.0 as the minimum and 100,000.0 as the maximum. You could do more if you wanted to take the time, for example, set the maximum to be the limits of travel or some such on your machine. I’m also not bothering with X and Y. There’s nothing really to crash into there on this job. If I was running a 4th axis job, I’d probably want to set those limits as well. GW Editor will save this information across sessions, so the same alarms will be there the next time you load a file. You won’t need to customize for each file in most cases, although not in all cases. For example, it isn’t too hard to imagine if you do mostly sheet work, say plywood on a CNC Router, that the same Z limits would suffice for most jobs. Every move that breaks a soft limit will now be flagged as an ERROR to be looked at. You could even use it to help optimize your move strategy. Perhaps you want to set the limits so they find feedrate moves that are still happening well above the workpiece that could be sped up to rapids speeds to make your program faster. To learn more about Soft Limits, see this blog post that introduced them. It’ll be a rare and fairly expensive machine that can hit the higher accelerations. If you have a more modest machine that’s only capable of say, 0.2g of acceleration, the cutter needs more than half an inch to get up to speed. The situation is even worse for arc motions, because the machine acceleration has to work not only to achieve the feedrate, but to fight the centrifugal forces an arc creates. It’s important to understand what’s really going on with acceleration for a variety of reasons, not the least of which is getting accurate time estimates for how long an operation will take. Another use for it is to understand which parts of your g-code are not reaching the commanded feedrate. If you expected the cutter to survive and prosper at the commanded feedrate (perhaps because you used our G-Wizard Calculator to figure that feedrate), you’re leaving money on the table if you machine can’t go that fast. If you need to tune that g-code up for every last ounce of productivity, you’ll need to find a way to work around the acceleration limits. One approach would be to increase depth of cut or width of cut in areas that can’t get to full feedrate. That way you can keep Material Removal Rates higher and still stay within the acceleration limits of your machine. 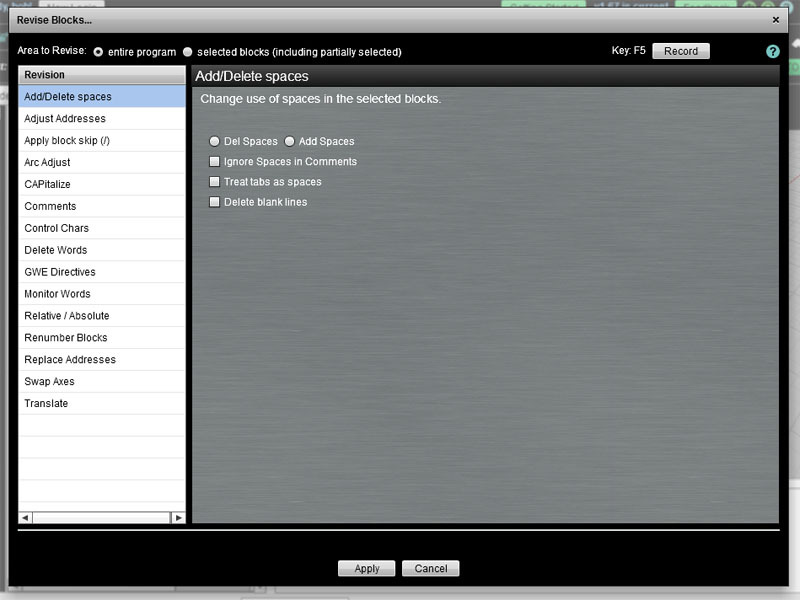 For more on Machine Acceleration and GW Editor, see our introductory post on it. 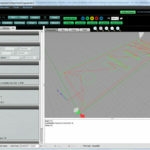 Let’s say for example you’ve used your CADCAM to product a program to do a part. Now you want to be able to call that part from a subprogram, and perhaps you want to do various other transformations to it, for example rotating it so you can call the subprogram a number of times and at different rotations to cut a bunch of these parts out of a plate. One Revision that might be handy is to change that part program to use Relative Addresses instead of Absolute. This way, you move to where you want the part zero to be, call the subprogram, and it is perfectly happy to make a part at the new location. That’s just one of many possible Revisions available to you for your g-code programming. Speaking of Revisions, I’ve saved one of the best for last. If you’ve ever done much g-code macro programming, your very familiar with the idea that most g-code dialects store variables using a syntax like “#100”. The number following the “#” sign determines which variable is being used. Unfortunately, as human beings, we’re not all that good at remembering numbers–by the time you get 10 or 20 of these things going in a program, most of us are constantly referring to a cross reference table of some kind to remember what they do. It’s very error prone to program this way and after you set the g-code down for just a little while it becomes very hard to pick it up and understand what it’s doing again. And if someone else wrote it a few years back, oh my, forget about it. Easier to rewrite than to try to figure that stuff out, and rewriting is none to easy either. 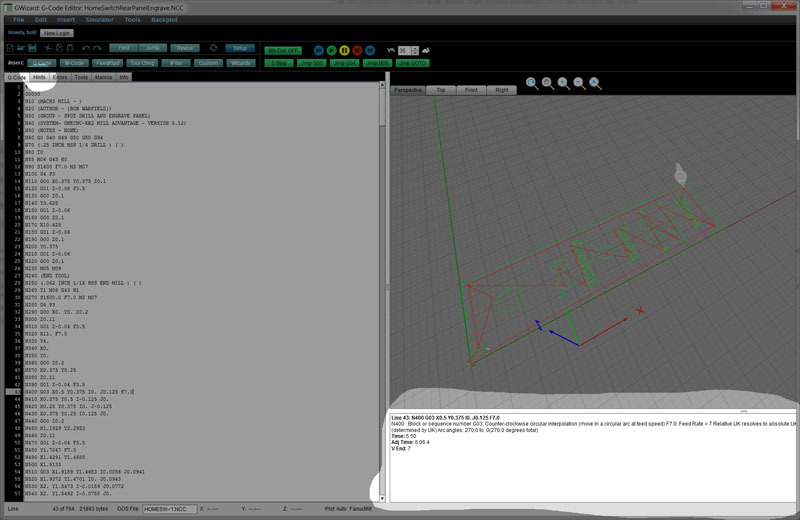 Some of the more expensive higher end controls have the ability to let you assign real names to the variables. What a relief it would be if we could use “#HOLE_DEPTH” rather than “#113”! But what if your control doesn’t support that kind of thing? The name, #number, and value of macro variables are easily accessed in the Macros Variables tab (that Macro tab is another great GW Editor time saving feature!). What’s happening is that #PROBEDIA, for example, is the same as #500. Cool beans, eh? Since the SETVN’s are still in the comments, you can just reload the file if you need to work on it some more and they’ll still be there. 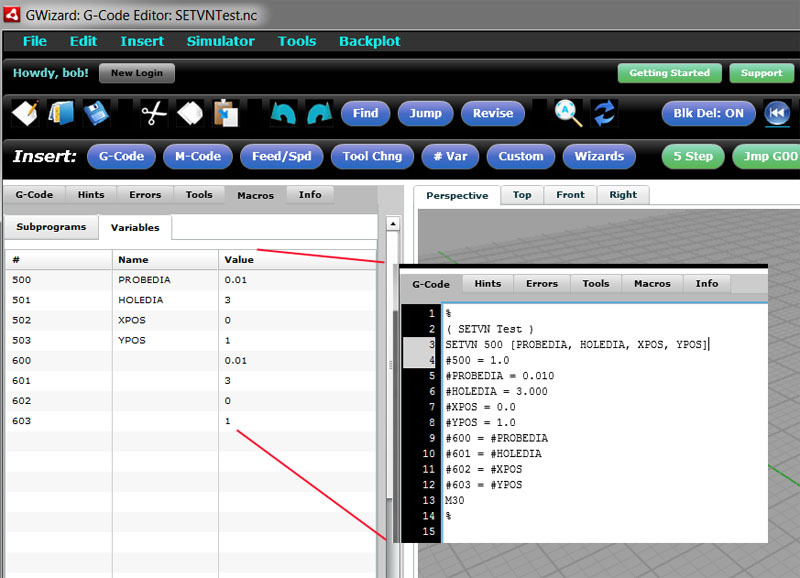 If you’re doing g-code programming, give this feature and our new Variable tab a try. They’ll simplify your work. You can learn more about our fancy Soft SETVN in this post. 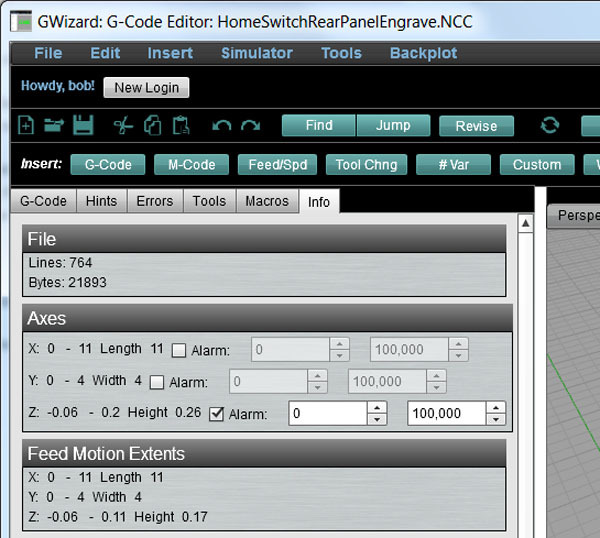 These are just a few of the unique and powerful features that set G-Wizard Editor apart from other similar g-code editors. 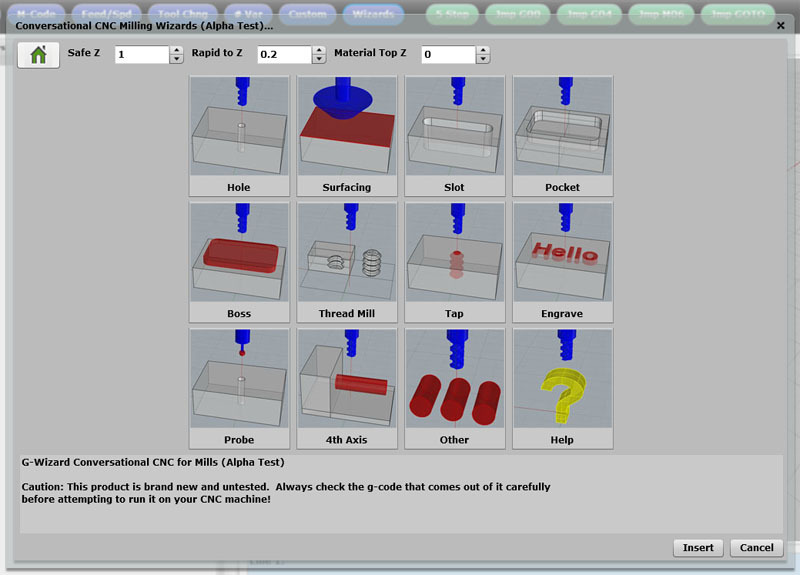 I hope you can see how helpful such features can be to almost any CNC user. 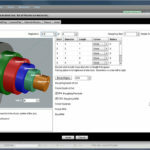 Whether you plan to do much g-coding by hand or not, g-code is a fact of life in CNC. Why not make sure you’ve got a power tool available that will help you understand the g-code just as much as it helps you slice and dice it until it does what you need. If you’ve never tried GW Editor, be sure to sign up for our free 30-day trial and check it out.